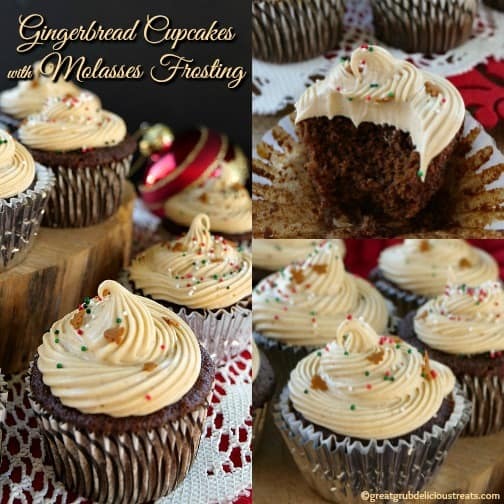 The holidays will be here before we know it and what better dessert to make than these delicious gingerbread cupcakes with molasses frosting. 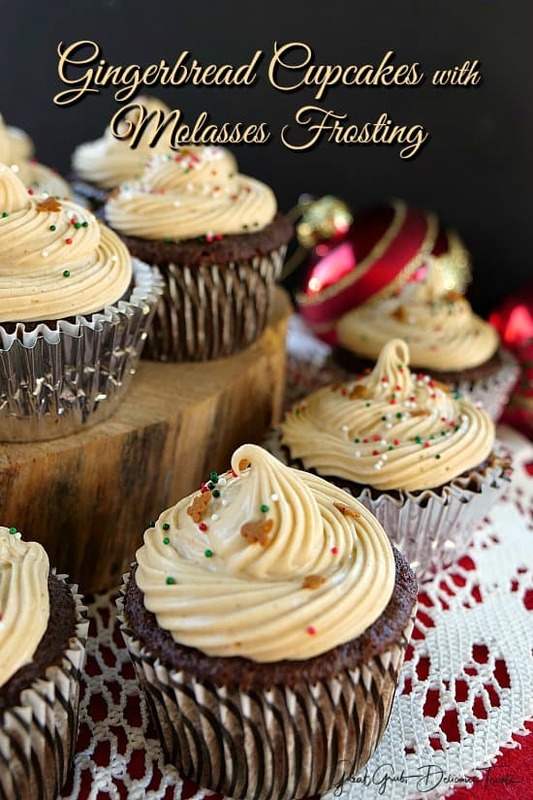 Each cupcake is flavored with molasses and ginger and then topped with cream cheese molasses frosting. Yep, cream cheese, buttercream, cinnamon, molasses frosting to be exact. Umm, umm, umm! 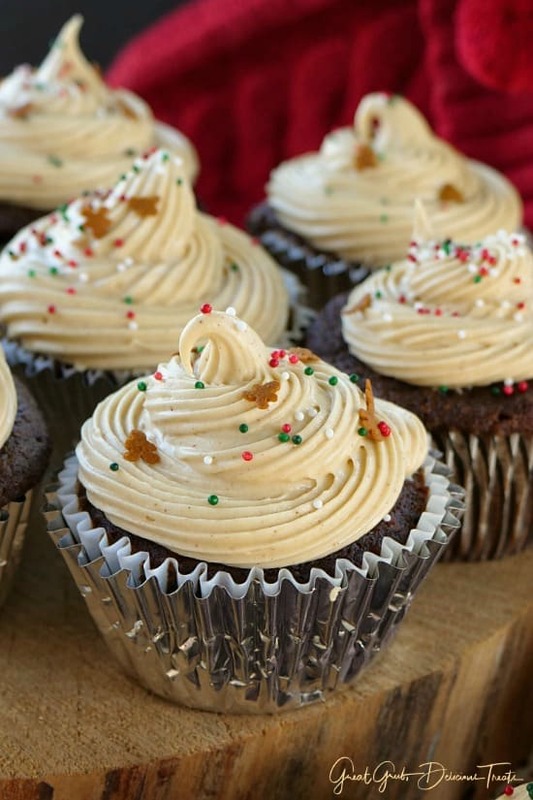 These gingerbread cupcakes with molasses frosting will definitely get you in the mood for the holidays. 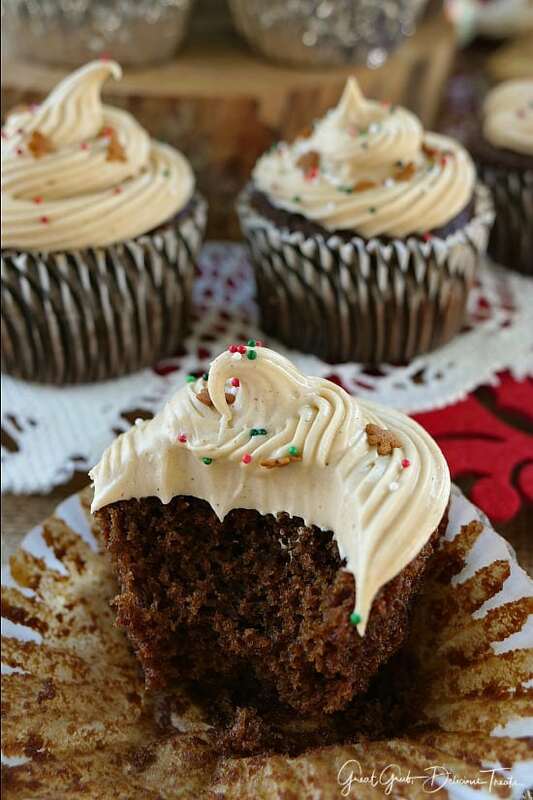 Are you a lover of gingerbread? The stickiness of these cupcakes are awesome! You know, the kind of sticky that you have to lick your fingers after eating. The longer these cupcakes sit, the stickier they become. Also great without frosting but if you are like me, I cannot get enough frosting. 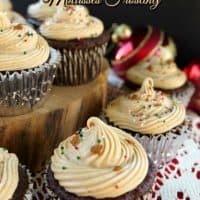 One of my favorite sweet things is buttercream frosting! 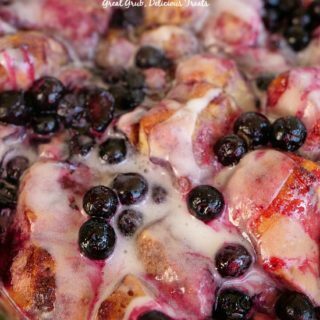 A perfect dessert to make for holiday get togethers, Christmas parties, and work potlucks. Seriously, making cupcakes works so well at these types of functions. 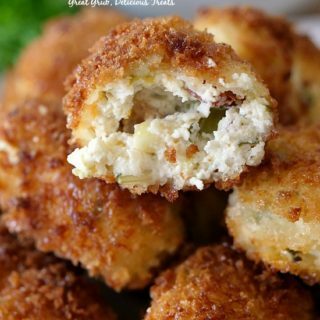 Easy and convenient to grab, delicious to eat! 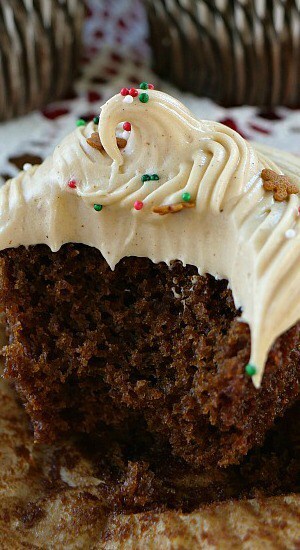 My gingerbread cake with cinnamon molasses frosting has been a hit with everyone that’s tried it and is perfect for the holidays too! 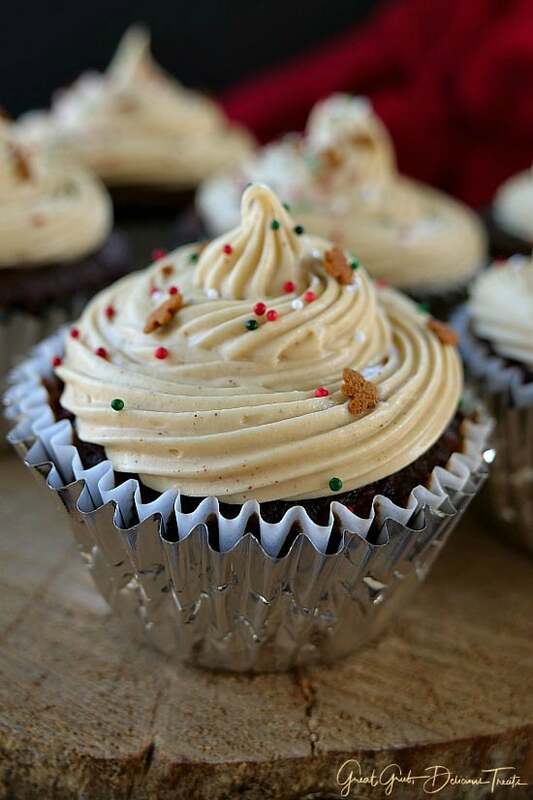 Ready to tantalize your taste buds with these yummy gingerbread cupcakes? Here are a few more delicious desserts you can find on the blog: Caramel Apple Pecan Cobbler, Cream Cheese Lemonade Pie, Soft Chewy Molasses Cookies, or how about some Cashew Toffee Butter Crunch. Preheat oven to 350° and add paper liners to cupcake tins. In a medium mixing bowl, whisk flour, baking soda, ginger, cinnamon, pumpkin pie spice together. Set aside. In a small saucepan, heat milk and brown sugar together just until sugar is melted and is lukewarm. With another small saucepan, heat molasses and corn syrup until lukewarm as well. 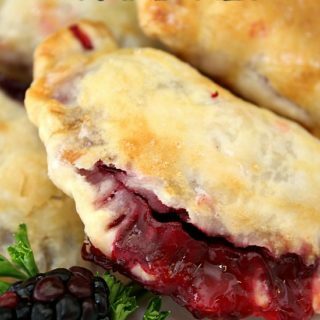 While both pans are cooling down a bit, cut cold butter into small pieces, add to flour mixture, and use pasty blender until mixture is fine crumbles. Once both pans have cooled to luke warm, add milk mixture, whisk until blended then add molasses mixture. Stir. Add egg and whisk until well Incorporated. Pour into cupcake liners, 2/3 full, and bake for 20-22 minutes or until toothpick comes out clean. Let cool completely on baking rack. 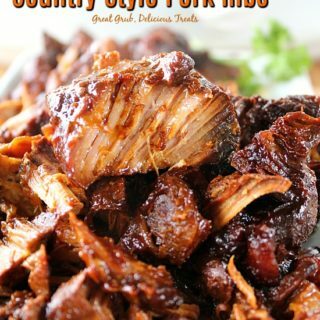 Once cooled, place into container, cover and store overnight so the tops will get sticky. 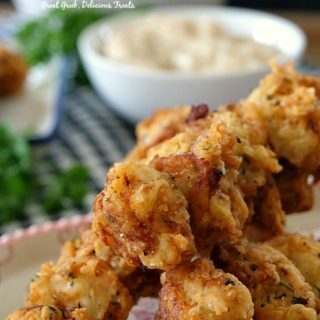 In a medium mixing bowl, beat cream cheese and butter together until creamy. Add vanilla, cinnamon and molasses, mix well. 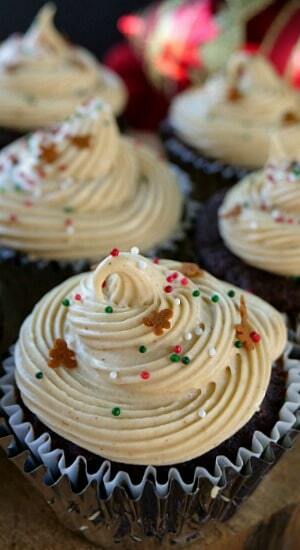 Refrigerate frosting until chilled then frost cupcakes once they have sat overnight. 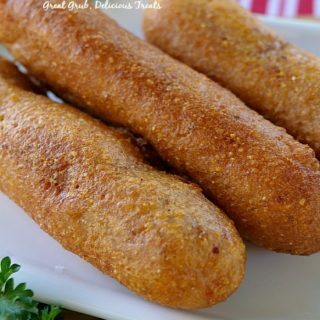 Can white corn syrup be used in this recipe. Yes Trish, it sure can.